Earlier we covered ten best Christmas lights, and now we have decided to include decor items for the home. 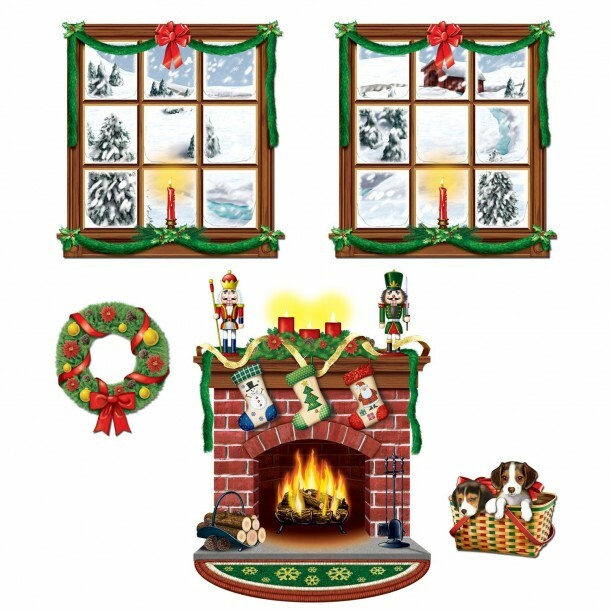 These are some of the best items available that will quickly put your house into Christmas shape. An adorable decoration to put near your Christmas tree. 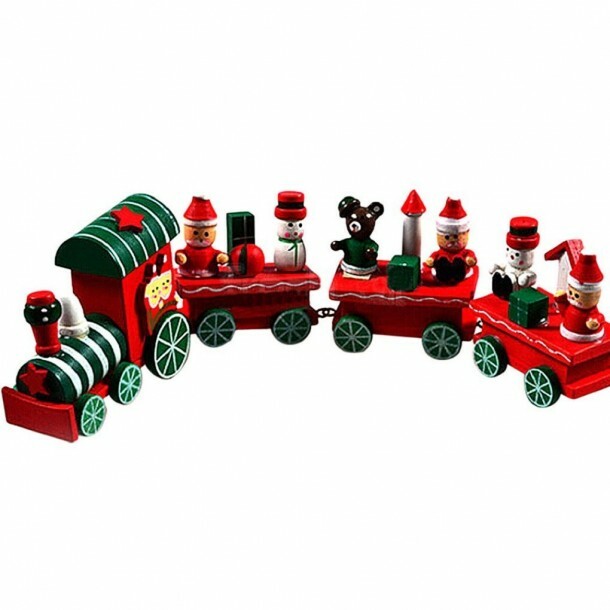 It consists of 1 engine and three carriages with characters on board. It is 24.5cm in length and it is made from wood. We recommend that you may place it on artificial snow to make it look even better. If you want to welcome your guests with a little bit of cheer, then these are perfect. 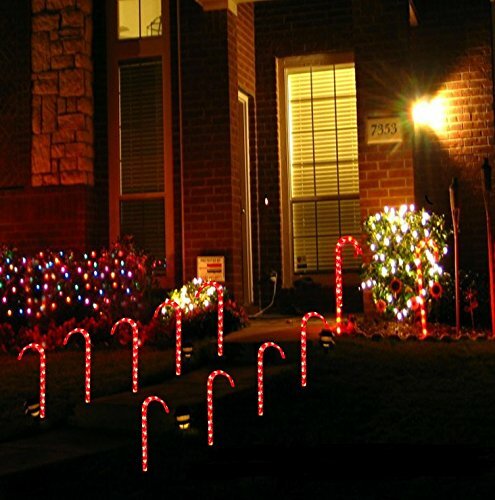 These candy canes have six bulbs each & are 12″ tall. For 30$ you get 10 of these to cover approximately 15-20 feet. These will look splendid in a hallway to hang your keys or any other item for that matter. Each measures 6 x 3 x 1.2 inches and you get 3 for about 10$. The chair covers are made from cotton and are about 26 cm wide & 37cm high. The material they are made from is quite durable and as well as washable, as in the colors won’t fade away too quickly & you can always re-use them next year. 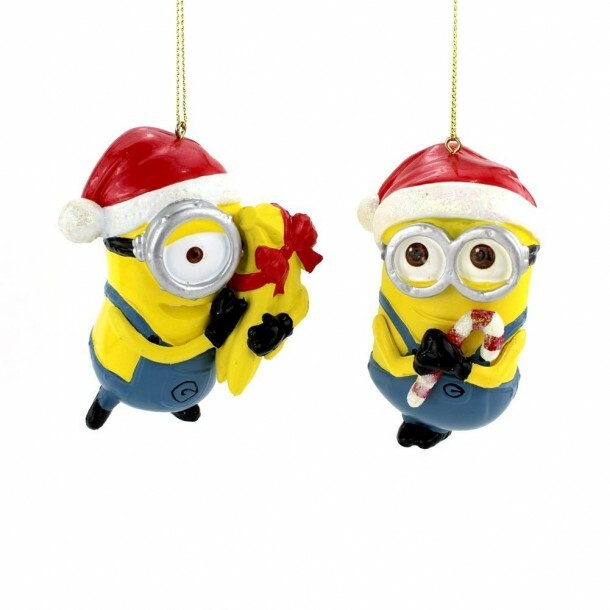 If you or your kids are a fan of the Despicable ME or the Minions, then these are just the perfect ornaments for your Christmas tree. They measure 3.5 X 2.75 inches each. Other sizes are also available. 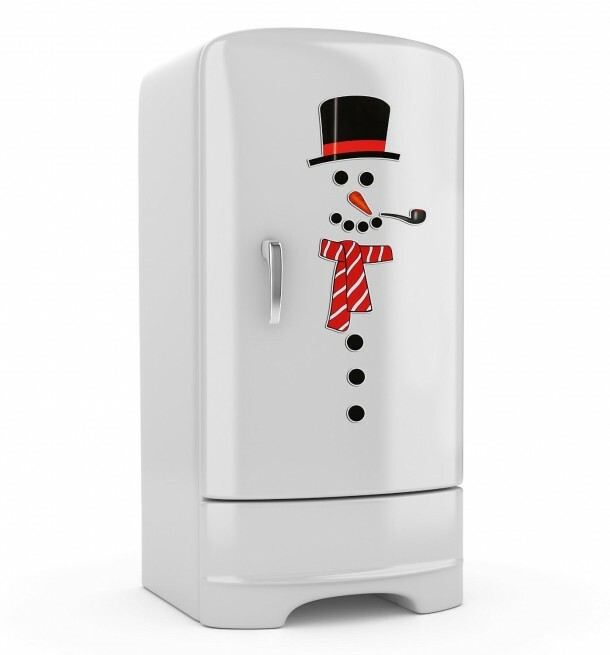 Do not let your refrigerator miss out on all the Christmas fun. 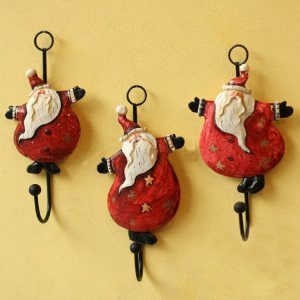 These magnets adhere perfectly and help give your kitchen that Christmas feeling as you create a life-sized friend. There are a total of 13 individual pieces. One of the most rudimentary Christmas decorations. 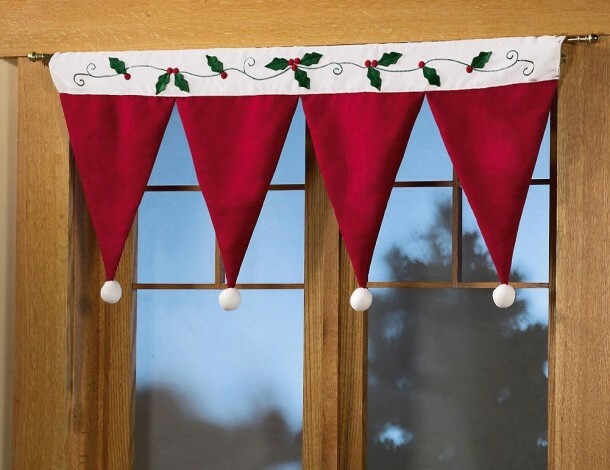 Help your living room resemble the Christmas season with this no fuss window valance decoration. Measures 36″W x 16.75″L. Props help bring the Christmas spirit to life, in any room of your home. Multiple designs and types are available in the market, the ones are shown above measure 17.8 x 11.6 x 0.2 inches total and weigh just 0.2 ounces. 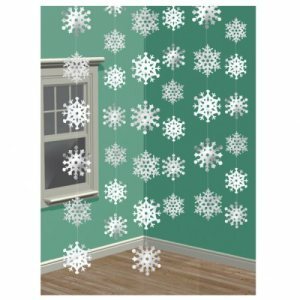 These decorations come in a pack of 6 and feature an assortment of white & silver snowflake shaped ornaments hanging from a piece of string. Each 7ft string holds six snowflakes. 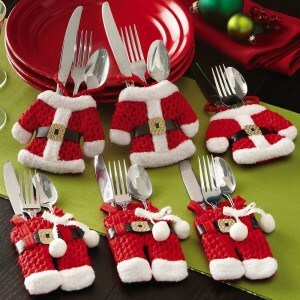 There is always going to be a Christmas dinner and what better why to have your silverware wrapped in tiny Santa suits. 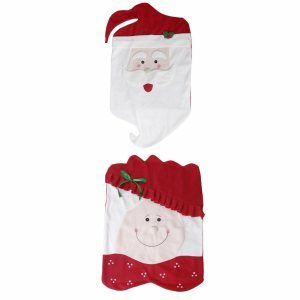 For just 2.72$ you get six adorable little pockets, and if you search online, you may find other designs too. For the price & effectiveness we feel this is the best Christmas decor item.